We are starting the second week of BM # 20 and I will be posting Recipes with Spreads. Under this theme, we have to either post the entire dish that has spread on it or the spread recipe. Either ways this theme has been something on my mind for so long and I have been thinking of different ways we use spreads in our cooking. Technically when I referred to this theme I only wanted recipes that had spreads on them. It can’t be something that is stuffed then cooked or baked. It can be spread and cooked. Well I am sure it might be confusing to get the exact meaning. Whatever I wanted to theme to be tough and come up with different recipes. This fruit spread was something that Athamma ended up making when she had too many fruits partial left behind. She meant to make it as a halwa, I told her that I was it was not going to be consumed completely. So mid way through the recipe, it was converted into something else. Anyway end result was, we decided to spread this on a toasted bread and enjoy. Great thing was Konda loved it so much. So much for a halwa on a bread! Quarterly exams are starting for the kids and well it’s just that I fear, they hardly show the signs of being even slightly deterred by the thought! Wash and core the fruits, purée all the fruits together and run through a sieve. Heat a non stick pan, add the fruits purée, continue to cook till the puree thickens. Then add the corn flour and sugar, continue cooking it the mix becomes thick and starts leaving the sides. 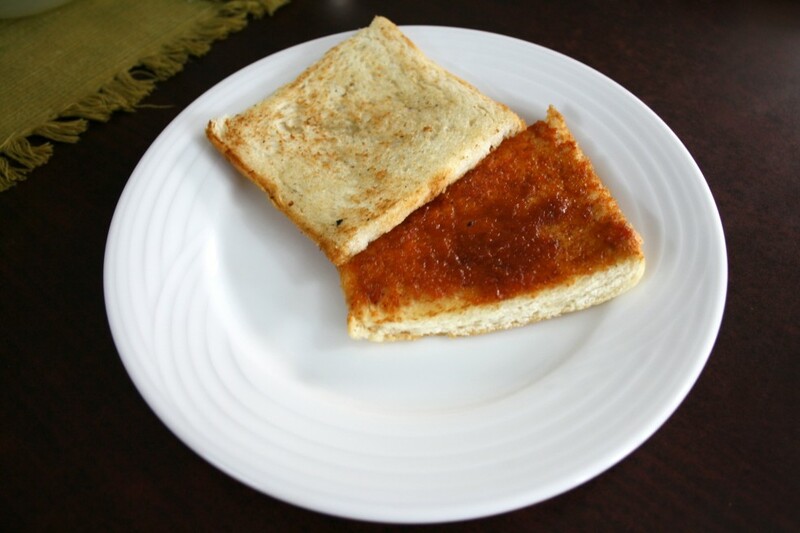 To make the toast, trim the bread on all sides and toast with ghee till it’s crispy. Spread the fruit mix on top and serve. Wow what a delicious spread. Will love to spread it a lot on my toast. Nice recipe and yes, from what I have seen, parents think more about exams than the kids themselves. they hardly worry about it! Omg, wat a fabulous spread, quite irresistible and inviting. What a healthy jam!!!! 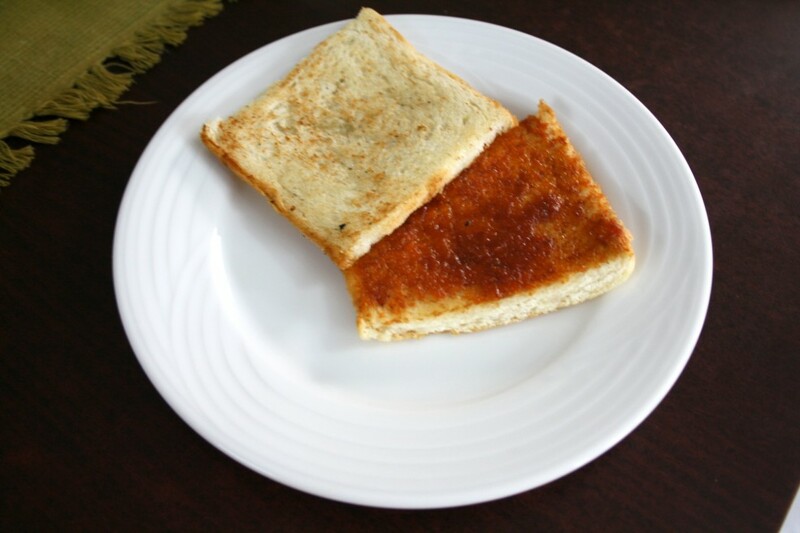 Very similar to a jam but much more healthier and quick!! sounds interesting..have never tried making such spreads. Love this mixed fruit spread.. Must taste awesome..Yum! !